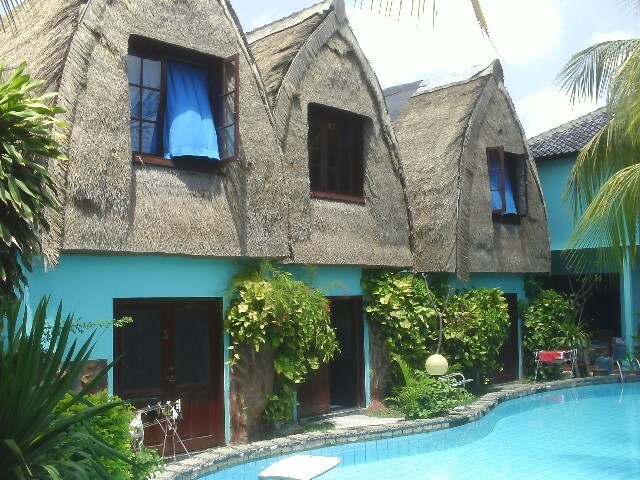 Ari Accommodation formerly know as Luisa Homestay is a great budget place to stay in Sanur. Room prices start from 70,000Rp per night (US$8) including breakfast. 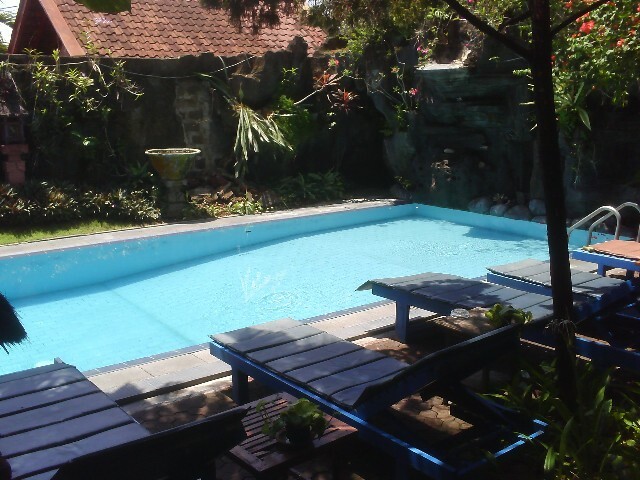 Keke Homestay is a budget home stay located close to the main road of Sanur, just a 10 minutes stroll down to the beach. Room prices start from 100,000Rp (US$11) including breakfast. Agung and Sue Watering Hole I (2 reviews) is located at the northern end of Sanur just 300m from the beach and ferry port to go to Nusa Lembongan. Room rates start from 150,000Rp per night (US$17). For pictures, contact details and hotel reviews click here. Agung and Sue Watering Hole IIis located right at the southern end of Sanur just a few minutes walk to the beach. Room rates start from 200,000Rp (US$23) per night. 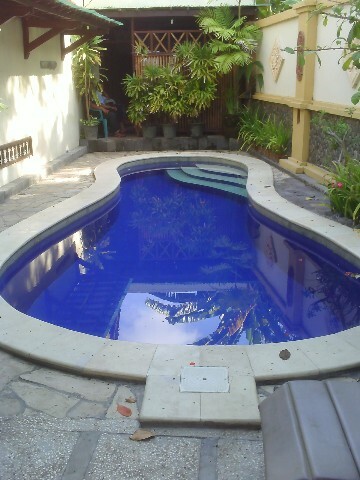 Ida Home Stay is nice budget accommodation located close to the centre of Sanur close to restaurants, bars and shops. With fan or air-conditioned rooms, prices start from 150,000Rp (US$10) per night. For pictures, contact details and hotel reviews click here. Yulia 2 Homestay is located at the southern end of Sanur on Jalan Danau Tamblingan just a few minutes walk from the beach. Room prices start from 294,000Rp. For pictures, contact details and hotel reviews click here. 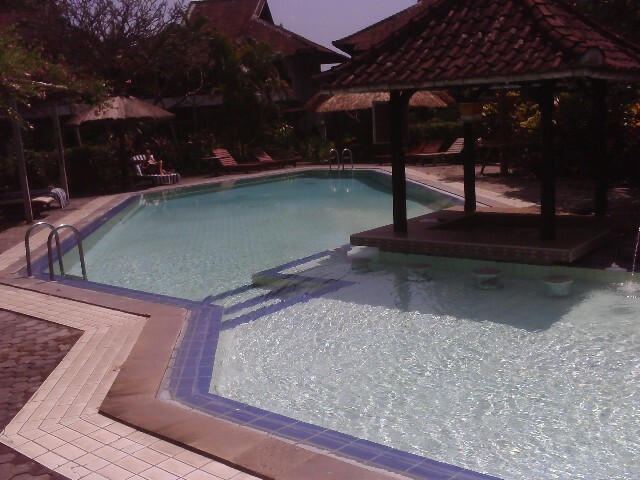 Bintang Bungalows and Pool (7 reviews) is located fairly central in Sanur surrounded by restaurants and bars. With a choice of fan rooms or air-conditioning. Room prices start from 125,000Rp (US$12.50) per night. For pictures, contact details and hotel reviews click here. Wayan Homestay (1 review) has clean rooms and is located just 300m from Sindu Beach in Sanur. It is not far from restaurants, bars and shopping. Room prices start from 150,000Rp per night For pictures, contact details and hotel reviews click here. 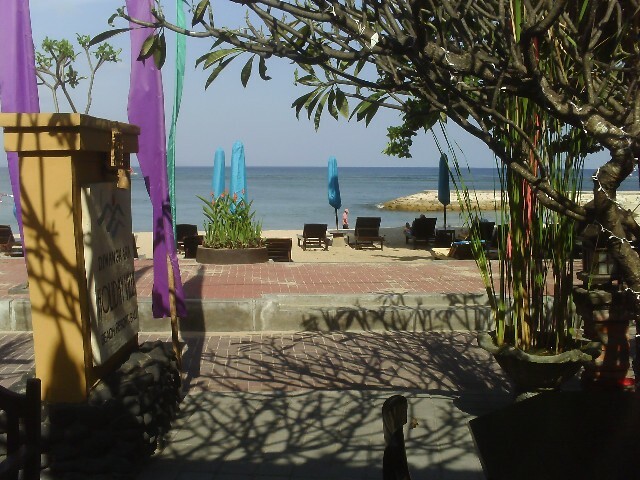 Ananda Beach Hotel is located at the northern end of Sanur right on the beach. Room rates start from US$25 per night. For pictures, contact details and hotel reviews click here. Hotel Melati Puri Suar is located on Jln Danau Toba No 9 Sanur. Room prices start from 200,000Rp (US$20) per night. For pictures, contact details and hotel reviews click here. Hotel Ramayana is located at the southern end of Sanur on Jl Danau Tamblingan close to many good restaurants, bars and shops. The hotel has a swimming pool. Only a few minutes walk to the beach. Room prices start from US$29 per night. For pictures, contact details and hotel reviews for Hotel Ramayana click here. 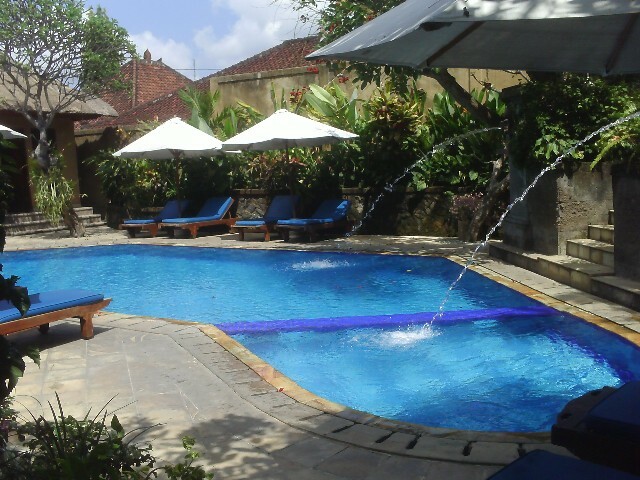 Jambu Inn is a family run hotel at the northern end of Sanur just 100m from the beach. The hotel also has a swimming pool. All rooms are air-conditioned with prices starting from 200,000Rp (US$23) per night. For pictures, contact details and hotel reviews click here. Prima Cottage has 17 comfortable rooms surrounding a beautiful swimming pool, and free WiFi wireless internet access. It's set in the Sanur village about 10 minute walk to the beach. Room rates prices start from US$25 per night including breakfast. The Ari Putri Hotel located 5 minutes walk from the beachfront. Room prices from US$28 per night. The Laghawa Beach Inn is located right in the centre of Sanur Beach with access to the beach and swimming pool. Published room rates start from US$40 and with internet special prices from US$29 per night. For pictures, contact details and hotel reviews click here. Rita's Homestay is located at the southern end of Sanur on Jalan Danau Tamblingan just a few minutes walk from the beach. There are many good restaurants, bars and shops within walking distance from Rita's. Room prices are 300,000Rp (US$30) per night. For pictures, contact details and hotel reviews for Rita's Homestay click here. Palm Garden Hotel (Talam Palem) is a great place for families to stay. 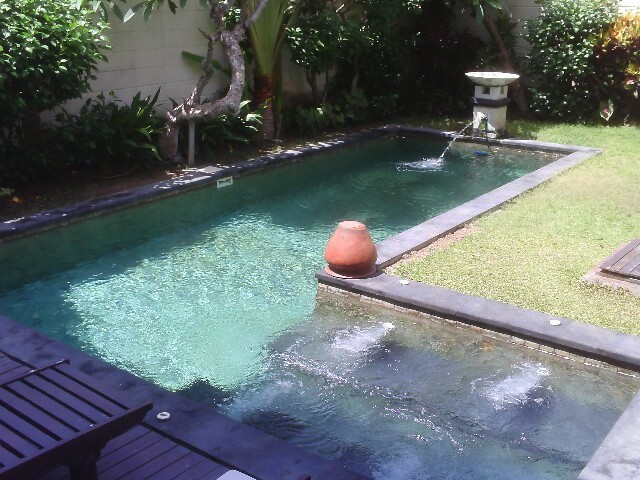 Just 2 minutes walk from the beach at Sanur. Room prices from 300,000Rp (US$30) per night low season and 360,000R0 (US$36) high season including taxes and breakfast. Alit's Beach Hotel is a really nice hotel right on Sanur Beach at the northern end. The hotel has 2 swimming pools and a hot water spa. All rooms are air-conditioned. Room prices start from US$45 per night. For pictures, contact details and hotel reviews click here. Sidhu Mertha Guest House is a beautiful air-conditioned Guest House in Sanur. It has a great swimming pool. Room rates are 350,000Rp (US$35) including taxes and breakfast for 2. Puri Mesari Hotel is a small privately owned hotel located 600m from the southern end of Sanur beach with swimming pool and restaurant. Room prices from US$40 per night. Puri Sindhu Mertha Suites are highly recommended, new hotel in Sanur with swimming pool. If offers 9 modern rooms with prices at 450,000Rp (US$45) includine taxes and breakfast for 2. Diwangkara Holiday Villa Beach Resort (1 review) is located right on Sanur Beach at the northern end. Room rates start from US$62 per night including breakfast and tax. For pictures, contact details and hotel reviews click here. 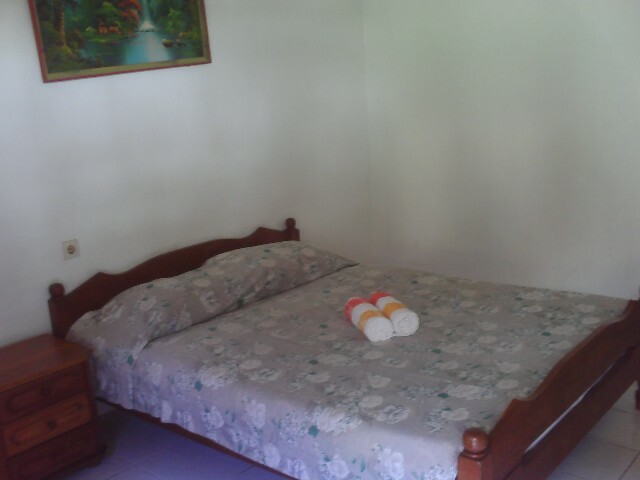 Puri Kelapa Garden Cottages (1 review) is really nice accommodation just 300m from the beach. With swimming pool and air-conditioned rooms, prices start from US$76 per night. The hotel has it's own restaurant and massage spa facility. For pictures, contact details and hotel reviews click here. Puri Sading Hotel (reviews) is located in the centre of Sanur set in tropical gardens and a large swimming pool. Room rates start from US$60 per night. For pictures, contact details online bookings and hotel reviews for Puri Sading Hotel click here. The Gazebo Beach Hotel (reviews) Traditional Balinese style accommodation located right on Sanur Beach. A large resort with 3 swimming pools. Room rates from US$79 per night. For more photos, online reservations and hotel reviews for The Gazebo Beach Hotel click here. 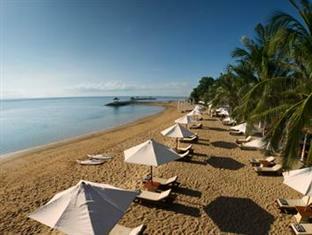 Mercure Resort Sanur (reviews) is a luxury resorts, part of the Accor Hotels Group. Room prices start from US$81 per night. Located right on Sanur beach, with a huge swimming pool. For more photos, online reservations and hotel reviews for Mercure Resort Sanur click here. Grand Inna Bali Beach Resort(reviews) is a large resort with swimming pool located right on the beach at Sanur. Room prices from US$83 per night. For more photos, online bookings and hotel reviews for Grand Inna Beach Hotel click here. 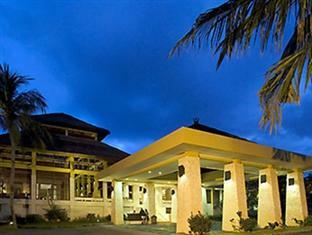 Griya Santrian Hotel (reviews) 3.5 star hotel centrally located on Sanur beach with 94 rooms within tropical gardens. Can cater for weddings and receptions. Room rates from US$110 per night. For more photos, online reservations and hotel reviews for Griya Santrian Hotel click here. Puri Santrian Hotel located on the beach front of Sanur. With large swimming pool and swim up bar. Can cater for weddings and receptions. Room prices from US$85 per night. Tamukami Boutique Hotel. Balinese style accommodation with swimming pool and Alise's Restaurant. Room prices from US$90. The Satrain Club Hotel is located right on Sanur beach with 60 rooms. Internet prices are $140 per night. Villa Dampati (1 review) are luxury 3 bedroom villas with private swimming pools, kitchen facilities, TV, DVD players just 300m from the beach in central Sanur. Prices are US$339 per night. For pictures, contact details and villa reviews click here. The Gangsa Private Villas, formerly known as Bali Melita, located within the heart of Sanur village have 1, 2 and 3 bedroom villas. Rates from US$300 per night.